Cable TV, a tea / coffee maker and a work desk is provided in the room. The bathroom comes with a separate bath and free toiletries. 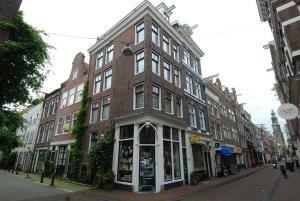 There are plenty of cafés and restaurants surrounding Jordaan Corner.. The Jordaan also features specialist shops. The Anne Frank Huis is 650 metres on foot. Central Train Station and Dam Square is just 1 km away. Het Marnix featuring a swimming pool, sports and sauna facilities is 250 metres from Jordaan Corner.